Locally known as Ilha de Queimada Grande, Brazil’s Snake Island is one of the deadly wonders of Mother Nature. 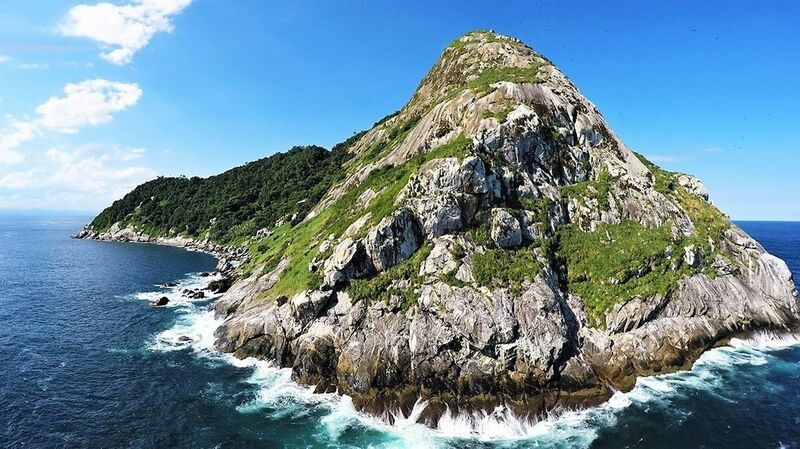 This small island is located about 20 miles off the coast of São Paulo, Brazil. What’s interesting about it is that all the Brazilians know about the island, but there are only a few who had the courage to step on it. Even if some people have traveled there, only a few have survived. The question that would come in anyone’s mind is, “What makes this island so horrifying?” The answer: the deadliest snakes that ever existed on Earth. One of such snakes is the golden lancehead viper. This snake is so deadly that it can kill a person in less than an hour. The venom of this snake can cause a brain hemorrhage, kidney failure and it can even melt human flesh. It only exists in Brazil’s Snake Island and the island now has the highest concentration of the venomous snakes in the world. The Brazilian government has now declared this island as forbidden for the general population. 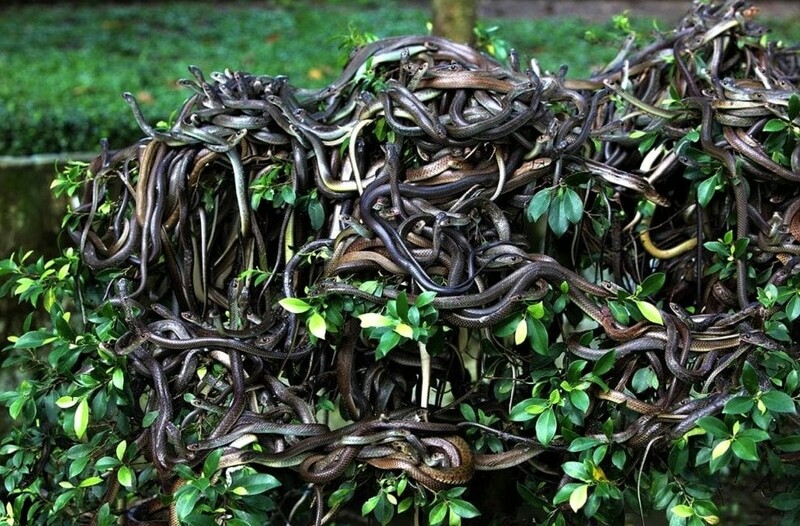 The life-threatening snakes have made it impossible for humans to coexist on the same island. An automated lighthouse is the only presence on this island that undergoes maintenance once a year. When the snake island separated from the mainland, the island’s species of snakes started to evolve on a separate path from the mainland cousin. Natural predators are not present on the island, which is the reason why there is nothing left for the golden lancehead vipers but to prey on migratory birds. There are only a few scientists who have set foot on Snake Island. Stepping into the island requires legal permission and a doctor needs to be present at all times. If a person gets bit by a snake on the island, an anti-venom needs to be administered to the person immediately. Scientists and researchers are now making an effort to explore the medical potential of the golden lancehead viper’s venom. There are some fractions in the venom of the golden lancehead viper that can be used to treat heart diseases and blood clotting. The snake island, despite its bad reputation as a deadly island, is an ecologically unique place and can be used to bring about revolutionary development in science and medicine. Brazil’s Snake Island is now in the legal care of the Brazilian Navy. The Navy has trained individuals who take all the adequate precautionary measures on the island. Scientists along with the government are taking their due measures to preserve the island and the snakes. But even though these snakes sound scary, nature has proven that man can still overpower such a threat. Habitat degradation, illegal animal trade, and diseases reduced the snake population by 15 percent in 15 years. Now, the Snake Island is inhabited by 2,000 critically endangered golden lancehead vipers and scientists are doing their best to protect them and reverse the decreasing numbers. The fact that they’re endangered doesn’t mean it’s fine for everyone to jump in a boat and head right away to Snake Island. Not unless you want to see and save the decreasing vipers.